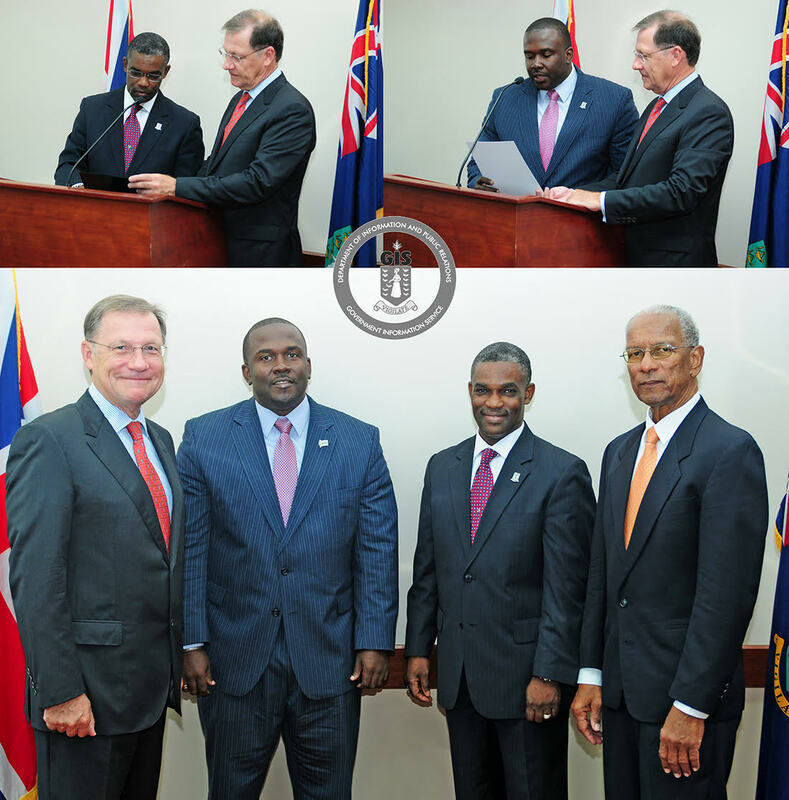 Honourable Archibald Christian and Honourable Marlon Penn have been appointed as Junior Ministers in the Government of the Virgin Islands. The instruments of appointment were presented to the Junior Ministers during an Official Swearing-In Ceremony on Wednesday, December 16. Honorable Christian will hold the portfolio of Tourism and Honourable Penn will hold the portfolio of Trade and Investment. Governor Duncan urged Honourable Christian and Honourable Penn to remember, as they fulfil the duties of their offices, that they are here to defend the interests of the Territory. Premier and Minister of Finance, Dr. the Honourable D. Orlando Smith, OBE stated that this is an exciting time for the Government of the Virgin Islands as it continues to deliver on its strategic objectives, and work for the people of the Territory. Premier Smith said that Honourable Christian and Honourable Penn will report to him, regarding their assigned responsibilities under his ministerial portfolio. In addition, they will work closely with the staff and departments under the Premier’s Office. He noted that both Honourable Christian and Honourable Penn are very enthusiastic to continue the work of the Government, and in an enhanced capacity. “They are both filled with creative ideas about the economic development of the Territory, and I look forward to working with them in the coming months and years,” Premier Smith said. The Government of the Virgin Islands continues its ongoing efforts to build a better Virgin Islands, and improve the quality of life for generations to come.